Here are a few images from a recent baby shoot that was taken in the studio. As a newborn photographer West London is a hot house of reproduction. There is a wealth of new families in the leafy suburbs of Chiswick, Richmond and Kensington. This family braved the car journey to come to the studio which gave me a bit more control over the lighting and background and I had the added benefit of them being happy to take clothes off to get that awesome skin on skin baby and parent shot. I am very happy to do home shoots when you have a newborn in the house as this can be less stressful than working out how to leave the house with all the gubbins you need nowadays for a new baby. However some clients prefer not to have anyone in their home and like the thought of getting out to a relaxed studio environment where they don’t have to think about anything other than their shoot. This little one was extremely well behaved and slept pretty much the whole way through the shoot. 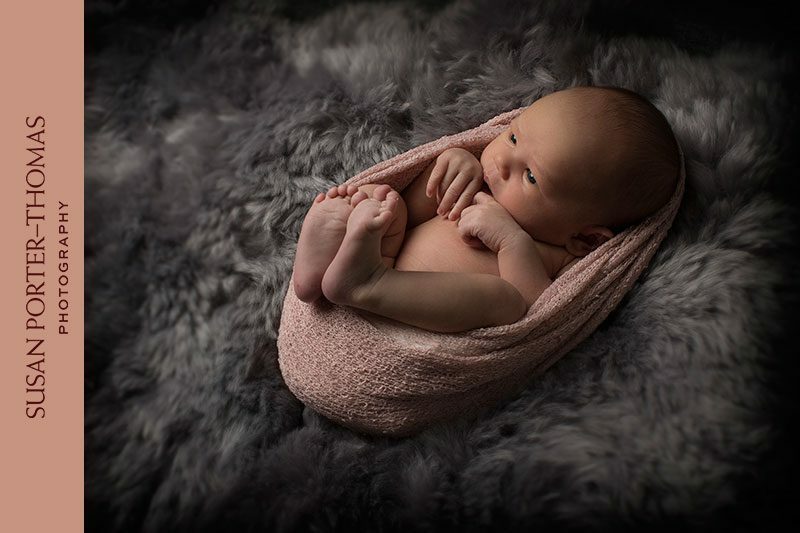 My newborn images are very relaxed and don’t require any weird posing or manipulation of your baby, I believe they should be taken without any props, so much of newborn photography nowadays is about the props. No, I’m more about the baby and I think that will stand the test of time better too..